DevOps vs Agile is a debate that many will have - some will even debate if they are dissimilar enough to compare. Agile is the older of the two methods and tends to be easier to define. At their most basic, most people believe that scrum and Agile are synonymous while DevOps and continuous delivery are as well. This is simplifying both concepts too far. Instead, you may find that when comparing DevOps and Agile, there is some similarity. Agile development puts individuals and interactions over processes and tools and software over documentation. It uses different implementation methods like Kanban, scrum, extreme programming, and others. Agile changes the way we think about development, spreading easily throughout an entire organization. Many companies aim to be “wholly agile” so that they can be faster and better. Similar to Agile, DevOps can be implemented in different ways, but it does two significant things: deepens the amount of and quality of communications between IT teams and software development; and it automates deployment processes. DevOps focuses on speed and timeliness at times, but more on helping you to run your technology without interruption. Agile methodology focuses on the organization for developing software, the steps you must take to get to a finished project. Once you get to a final project, Agile tends to let go of it. This method moves onto something else. 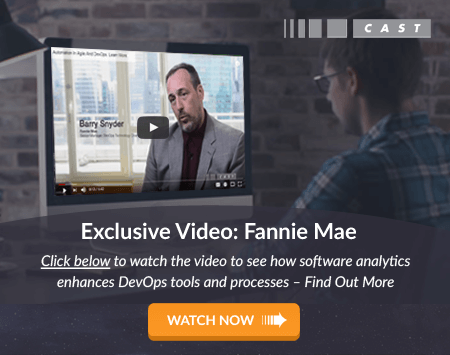 With DevOps, you continue onward, deploying the software in a way that is safe and reliable. With the Agile method, teams tend to be broken down into smaller teams of just a few people. This allows singular facets of a project to get completed quickly before they are combined. DevOps, on the other hand, bring teams together, forming larger groups that work to achieve the same goals. Within that team there may be groupings, but everyone works together. Scheduling is a bit different with DevOps and Agile. Agile sprints work within the immediate future (typically within the next 30 days) but sometimes in just a few days. Teams know when another sprint starts and can adjust their work that way. DevOps, on the other hand, doesn’t have a set schedule. Instead, a schedule that minimizes disruption is ideal. Instead of speed, DevOps seeks to make the best product possible – one that is reliable. With so much focus on the Agile vs. DevOps debate, how are they similar to each other? Though they do it through different methods, both Agile and DevOps make it so that members can work together. Agile focuses more on making the team’s work visible, allowing everyone to know where everyone else is. Agile helps in identifying any parts of the equation that are lagging. DevOps helps teams that are traditionally separated to work together. With an increase in teamwork, there is also an increase in communications between teams at all levels. From stockholders to writers to freelancers, you are able to communicate better using Agile and DevOps – they are different kinds of communication, however. Agile uses the daily scrum to communicate, whereas DevOps uses specs and design documents to collaborate. The communication within both methods ensure that all team members understand end goals, timelines, and any changes. Agile and DevOps can work hand-in-hand in some situations, but in others they could not be more different. The end goal of each method is quite different – one aims for quickness and speed while the other aims for reliability and security.